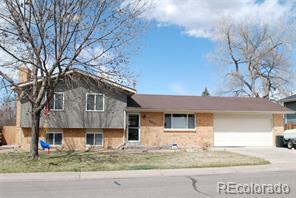 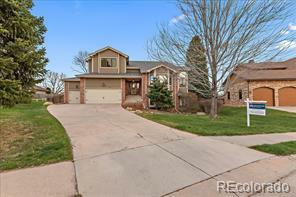 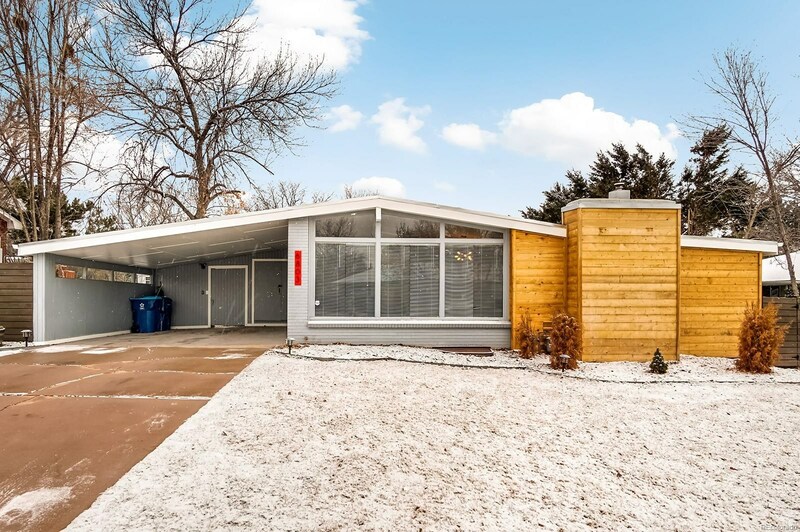 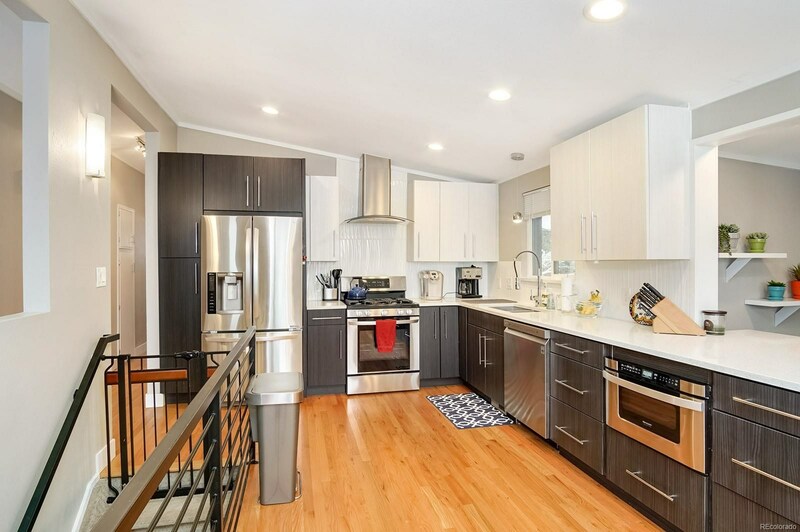 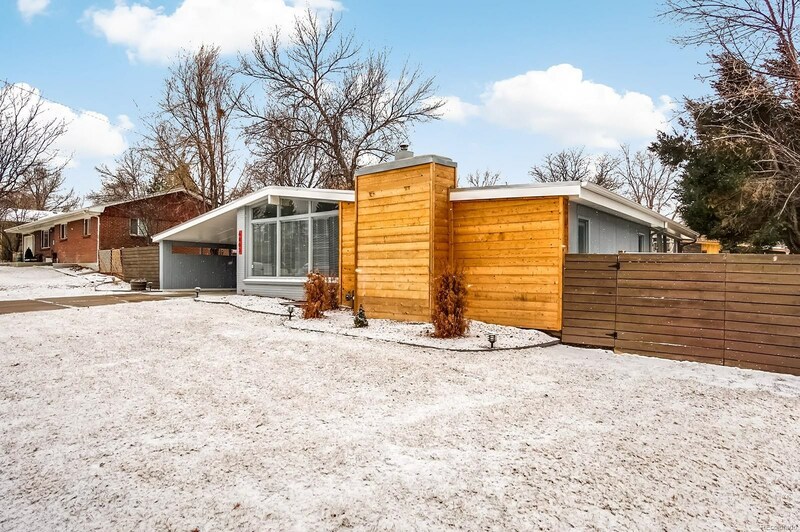 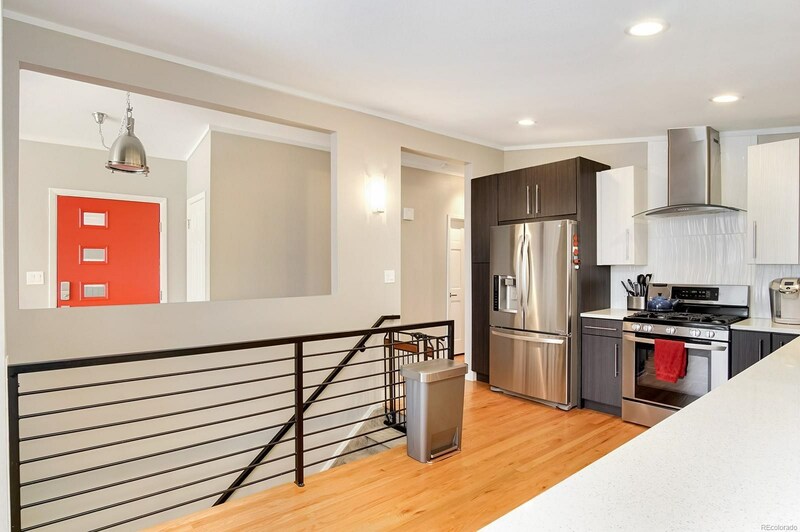 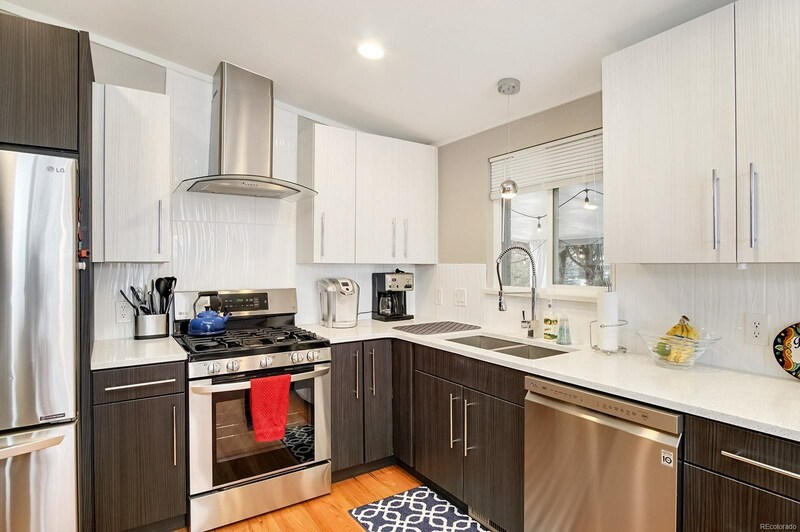 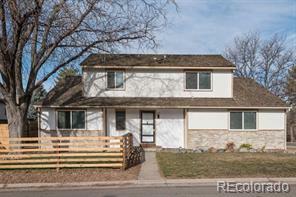 Fantastic location near old town Littleton, this lovely mid century modern home has an inviting and open floor plan that includes a well-appointed gourmet kitchen complete with high-end stainless steel appliances and beautiful quartz counter tops. 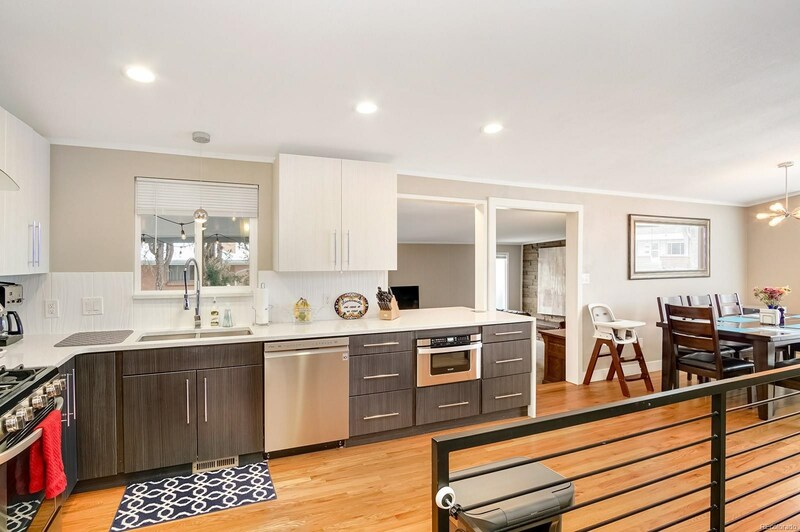 The functional layout is great for entertaining! 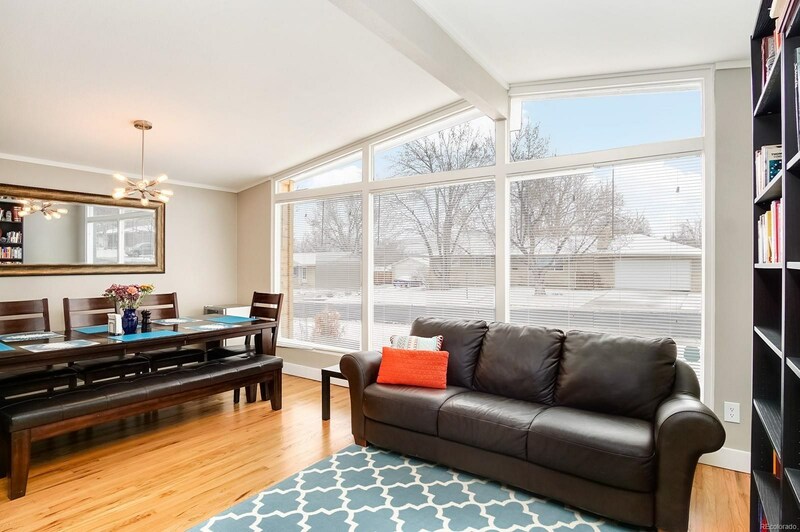 This home features original hardwood floors throughout the main level, custom tile in the bathrooms and kitchen, a spacious master suite with sliding barn doors, and a cozy living room that leads to a large covered porch and huge yard. 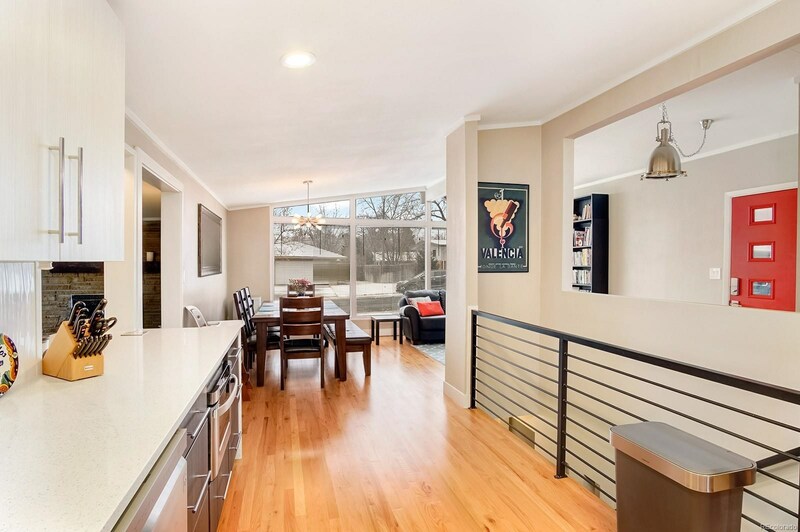 Natural light floods the dining and sitting areas from the massive floor to ceiling front windows. 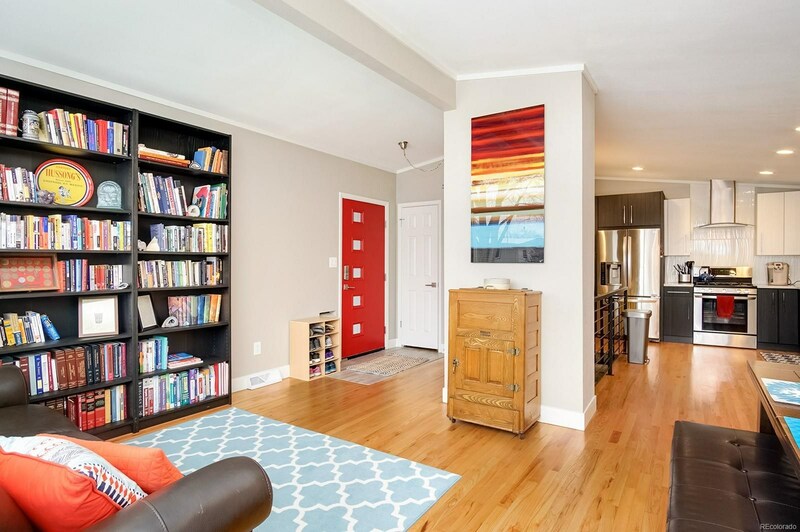 There is an impressive amount of finished space in the basement that includes a charming retro wood burning fireplace in the family room, two bedrooms with egress windows, a bathroom, large laundry room, and plenty of storage space. 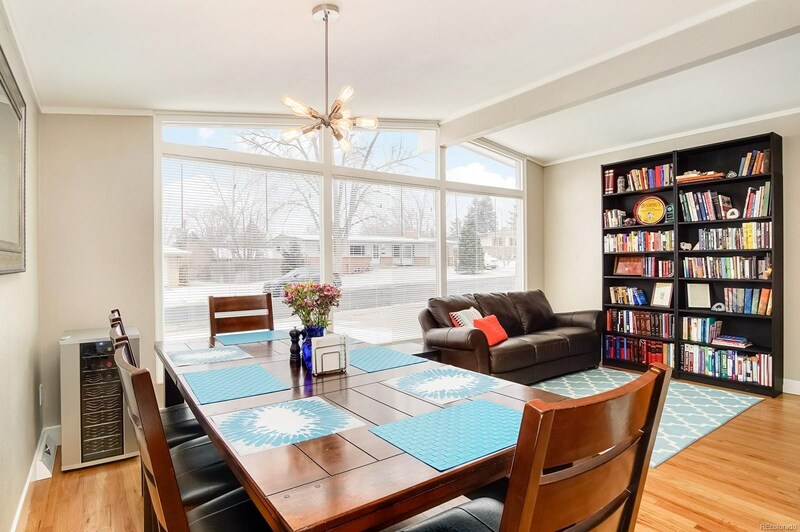 New central air, egress windows, radon mitigation, addl kitchen cabinetry, full backyard renovation incl shed.